few wetlands located within an urban landscape. 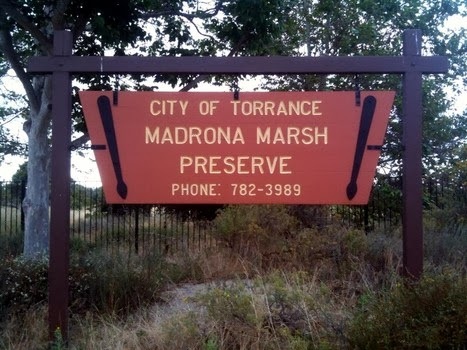 by calling the Nature Center (310) 782-3989.
features exhibits about the plants, birds and animals of the marsh. The marsh and nature center are closed to the public on Mondays.